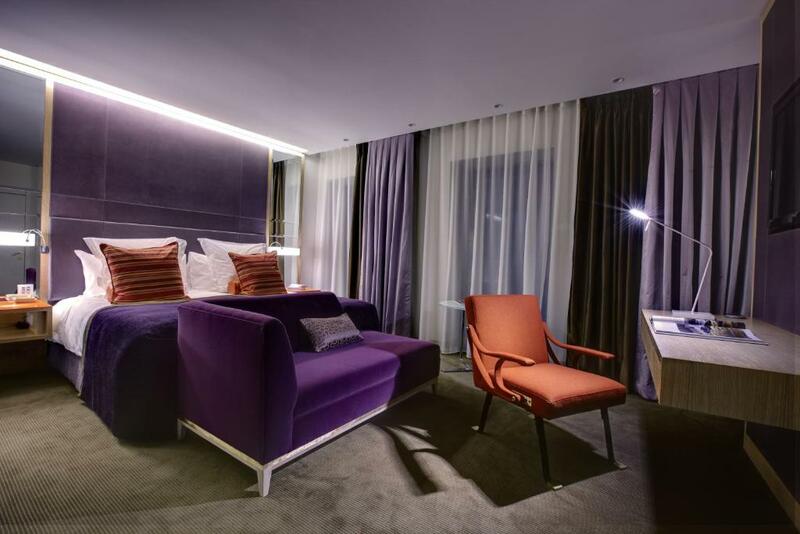 Lock in a great price for Crowne Plaza London Battersea - rated 8.6 by recent guests. Great location and on the face of it a nice hotel. Very Romantic great room with views of the river. Bed very comfortable with quality bathroom. Very good breakfast all round great value for quality hotel and location. Staff was extremely welcoming ,hotel was very nice .love the spa 😄everything was great. Large room, largebed, big bath with tv in bathroom, went to the spa after we checked out, robes and slippers provided, good menu for room service- the chicken salad was really nice, breakfast serving times good and checked out at 12pm on request. The spa - treatments were lovely and exceeded my expectations, the relaxation room was also beautiful. The sauna, steam, jacuzzi/pool was indulgent. The rooms were clean, the staff went the extra mile. The tv in the bath was a nice touch and the view was amazing. During my stay it was my birthday the staff made me feel very special. Thiis hotel went beyond my expectations. Staff extremely helpful and courteous. Would definitely book again and even recommend. 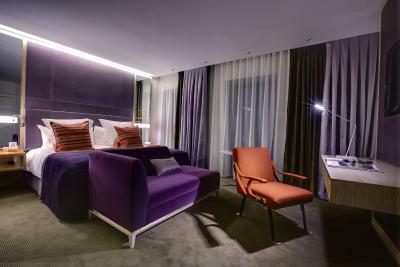 One of our top picks in London.The Crowne Plaza London Battersea is a 4-star hotel on the South Bank of the River Thames with panoramic river views and a vitality spa and hydro pool. 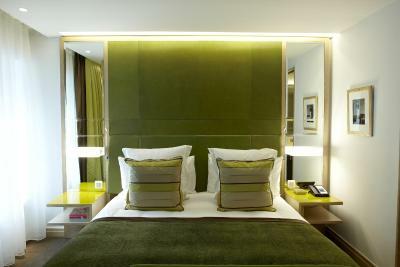 Each trendy, colourful room at the Crowne Plaza London Battersea has a flat-screen TV and a tea/coffee maker. Guests can also relax in their spacious seating area. The adults only Spa provides a range of indulgent massages, body wraps and beauty treatments in its thermal rooms. There is also a modern, fully equipped gym with a range of cardiovascular equipment and weights. Guests can unwind on the property's terrace and watch the sun set over the Thames. The contemporary PAD Restaurant & Bar serves a bar menu and cocktails, and boasts striking views of the River Thames and heliport. Outside the London congestion zone, the property offers ample onsite parking. It is located on the South Bank of the River Thames, opposite Chelsea Harbour. Clapham Junction Station is a 10-minute walk away, providing easy access to central London and London Gatwick Airport. Crowne Plaza London Battersea has been welcoming Booking.com guests since 1 Sept 2010. When would you like to stay at Crowne Plaza London Battersea? This double room has a bathrobe, minibar and seating area. Private parking is possible on site (reservation is not needed) and costs GBP 20 per day. This king room room has a satellite TV, bathrobe and tile/marble floor. This double room features a bathrobe, minibar and tile/marble floor. This double room features a bathrobe, tile/marble floor and seating area. This suite has air conditioning, minibar and seating area. This suite features air conditioning, tile/marble floor and minibar. This double room has a seating area, minibar and tile/marble floor. This double room features a bathrobe, seating area and air conditioning. This double room features air conditioning, bathrobe and seating area. Enjoy comfort, service and great London views at our Crowne Plaza hotel near Battersea Park. House rules Crowne Plaza London Battersea takes special requests - add in the next step! All children under 12 years are charged GBP 35 per person per night for extra beds. Crowne Plaza London Battersea accepts these cards and reserves the right to temporarily hold an amount prior to arrival. Use the postcode SW11 3RP if you intend to arrive at the hotel using a sat nav. Guests must be 18 or above to use the spa facilities. Please note that the credit card used for booking will be requested at check-in, together with a valid ID. The credit card will be pre-authorized on day prior to arrival. Air con in the room not working properly- it was either too cold or too hot. The hotel food was disgusting. We ordered pizza which looked like £1 Iceland pizza and we were sick for 3 days after. The receptionist demanded £50 payment from us upon arrival - in case we damage anything. I won’t be recommending this hotel. Parking costs were not clear on booking. Bed was dreadful. Clearly two single mattresses pushed together which separated when slept on and I ended up in a gap between them. No ability to open a window. Entrance is down a back road/ alley and poorly lit. Very clean and the staff were amazing. Rooms were bigger than expected. Bathroom was lovely. The room was quite hot and I could not immediately find the thermostat. The room and hallway had an unpleasant smell. The bed was extremely comfortable. Receptionist was friendly upon my arrival. I like a room whit see a river I pay extra for that and they give me a room whit terrace on front my windows. Excellent customer service especially from Mark.